Wanting an extra twenty minutes added onto your massage for a wonderful neck and scalp massage? Lavender and Peppermint infused oil is massaged into the neck and scalp. Great treatment for people suffering from migraines or just love their scalps massaged. 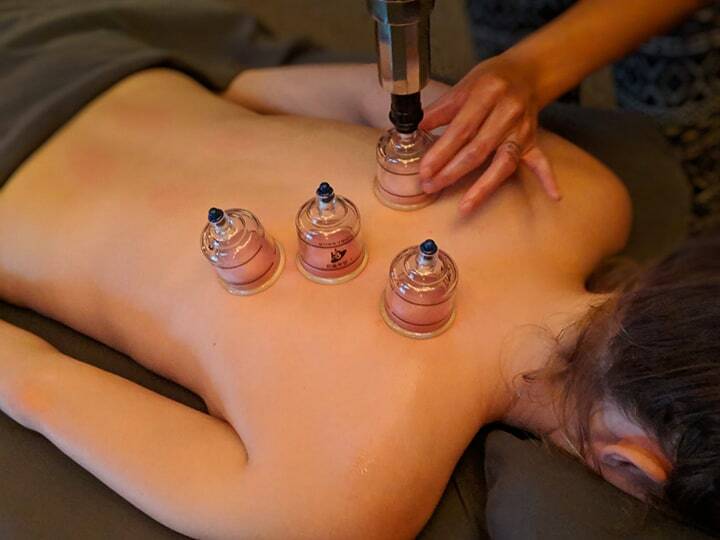 Cupping is a traditional form of healing using suction. As the suction cups glide across the oiled body, it separates the muscle from the fascia to bring the stagnate blood to the surface. Healing of that area begins as fresh blood enters in. We highly recommend this treatment with deep tissue. *Must be added onto a massage to reduce bruising. Cupping leaves circular marks where the stagnate energy is more prominent. Marks will last about 7 days.